Welcome back to Fine Motor Fridays! 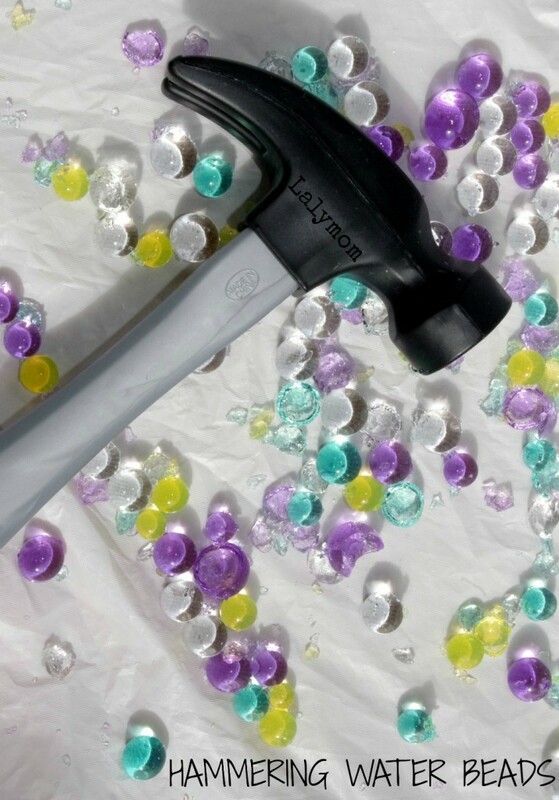 Today I am bringing you Fine Motor Activities for Preschoolers using hammers! LalyDad took Miss Three to a free Lowe's Build and Grow Workshop for the first time recently and they made a terrific birdhouse. They had a lot of fun and Miss Three was in a very peppy mood after her special activity with daddy! While at the store LalyDad picked up another kit to do with her when her Grandpa comes to visit but we'd need a kid sized hammer if she was going to do any work. He hastily looked online and ordered this kids toolkit (affiliate links included for your convenience) thinking it had a real hammer but alas, it is plastic. We kept it though and I knew it would come in handy. I knew hammering was great fine motor practice and wanted to find a fun way to use it with Miss Three. We haven't played with water beads since last year when we were using them to explore colors on the light box. With Mister One around, we have to be very careful what we play with. Now, Blog Me Mom has made edible water beads and Fun at Home with Kids has some great baby-safe, edible mini water beads but today since it was an activity just for Miss Three, we used the ones we had on hand. I set out a box lined with a white dollar store vinyl table cloth and added some water beads. I set the hammer in and by that time I heard the pitter patter of Miss Three's little feet as she excitedly came to see what was up. She got right to it trying to hammer the water beads. As expected, the water beads were very bouncy when she tried to hit them! We giggled a lot and took turns trying to hammer the water beads, it was so funny! We also added a bit of learning, taking turns trying to hammer specific colors and numbers of water beads. They pretty much turn into jelly when you're done which was an interesting sensory activity on its own! Now, because they bounce, this is truly one of those activities for preschoolers that you want to supervise if you are worried at all about those water beads getting away from you. We did have a couple pop out of the box and if you have a very eager hammerer…well…you probably will too! Aside from the hammering, I remembered Craftulate's Color Sorting with Water Beads Fine Motor play and set out one of our favorite tools, the tweedlers from American Science Surplus. We had a lot of fun hammering, which made me wonder what other great hammering activities had been done! Paging Fun Mums actually used a hammer with Frozen Water Beads. Stir the Wonder shows us Fine Motor Hammering using an egg carton. 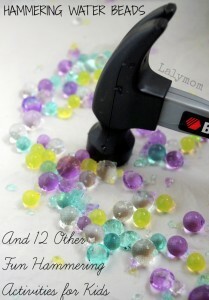 Sugar Aunts shares several super cool Golf Tee Hammering ideas. Dirt and Boogers set out a hammer with this Invitation to Play. 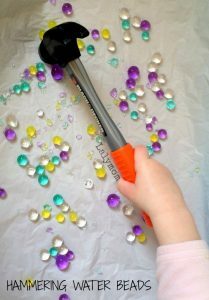 No Time for Flash Cards has some awesome seasonal Button and Nail Hammering ideas. Child Central Station pounded out some amazing looking Tin Punch Ornaments with her kids. Preschool Powol Packets had some Halloween Hammering Fun with their pumpkin. Fun-A-Day takes hammering to a new place by making a Pumpkin Geo Board with her kids. Fun at Home with Kids had some St. Patrick's Day fun with their Gold Excavation Activity. Happy Hooligans uses Stones and Craft Sticks for hammering outdoors. Hands On As We Grow reminds us to use both sides of the hammer for fine motor fun! Edited to add one more from a new-to-me blog called Happy Brown House, here is Pound the Sound! 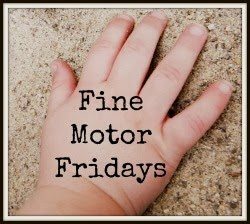 This is part of our ongoing Fine Motor Fridays Series along with several other fantastic bloggers. Click through to see all the great Fine Motor Activity ideas! Oh, this looks irresistible! 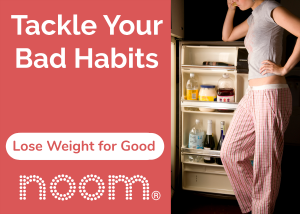 How fun and beneficial! 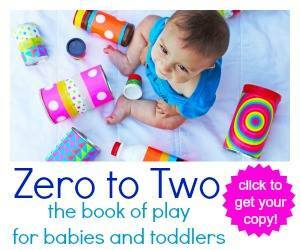 Very fun idea! 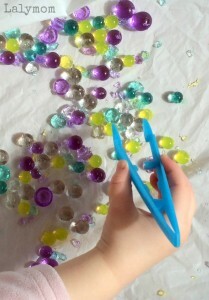 I must get some water beads– we’ve never played with them before & I know the kiddos would love it! This will be perfect for my son! He loves building and hammering (and sawing and drilling and measuring, and using a wrench..you get the point!) I love how it will give him something to actually hammer (besides a piece of wood). Sounds fun and can’t wait to try it with him!! Thanks for sharing! 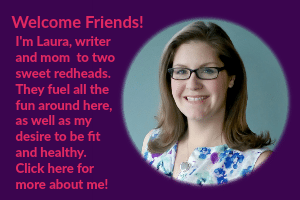 Thanks for including my post in your round-up! Looks like a lot of fun!